Like many of you, I have been very busy upgrading my apps to make them fit for iOS 7. The latest version of iOS introduces lots of visual changes. From a developer’s perspective, the navigation bar and status bar are two noticeable changes that need to cater. The status bar is now transparent, that means the navigation bar behind it shows through. In some cases, the background image for a navigation bar can extend up behind the status bar. 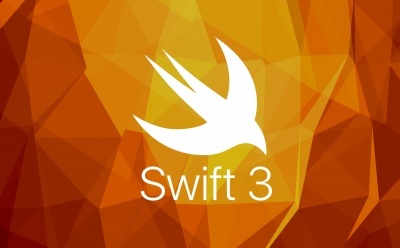 You’ll need Xcode 5 to properly execute the code as presented in this tutorial. So if you’re still using older versions of Xcode, make sure you upgrade to Xcode 5 before running the sample Xcode project. Before we go in to the customization, let’s first take a look at the default navigation bar generated by Xcode 5 and iOS 7. Simply create a Xcode project using Single View Controller template. Embed the view controller in a navigation controller. If you don’t want to start from scratch, you can just download this sample Xcode project. Xcode 5 bundles both iOS 6 and iOS 7 Simulators. Try to run the sample project using both versions of Simulators. As you can see, the navigation bar in iOS 7 is by default intertwined with the status bar. The default color is also changed to light gray, as well. In iOS 7, the tintColor property is no longer used for setting the color of the bar. Instead, use the barTintColor property to change the background color. You can insert the below code in the didFinishLaunchingWithOptions: of AppDelegate.m. By default, the translucent property of navigation bar is set to YES. Additionally, there is a system blur applied to all navigation bars. Under this setting, iOS 7 tends to desaturate the color of the bar. Here are the sample navigation bars with different translucent setting. 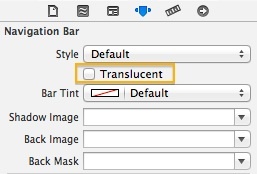 To disable the translucent property, you can simply select the navigation bar in Storyboard. Under Attribute Inspectors, uncheck the translucent checkbox. 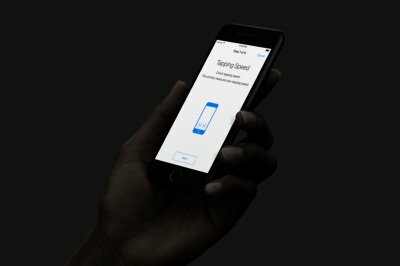 If your app uses a custom image as the background of the bar, you’ll need to provide a “taller” image so that it extends up behind the status bar. The height of navigation bar is changed from 44 points (88 pixels) to 64 points (128 pixels). The sample Xcode project bundles two different background images: nav_bg.png and nav_bg_ios7.png. Try to test them out. In addition to the back button, please note that the tintColor property affects all button titles, and button images. If you want to use a custom image to replace the default chevron, you can set the backIndicatorImage and backIndicatorTransitionMaskImage to your image. The color of the image is controlled by the tintColor property. We simply change the titleView property and assign it with a custom image. This is not a new feature in iOS 7. The code also applies to lower versions of iOS. For the sample app, simply put the above code in the RecipeNavigationController.m and the status bar will display light content. The method introduced above is the preferred way to change the status bar style in iOS 7. Alternatively, you can set the status bar style by using the UIApplication statusBarStyle method. But first you’ll need to opt out the “View controller-based status bar appearance”. Under the Info tab of the project target, insert a new key named “View controller-based status bar appearance” and set the value to NO. iOS 7 presents developers with new freedom to customize the appearance of navigation bar and status bar. 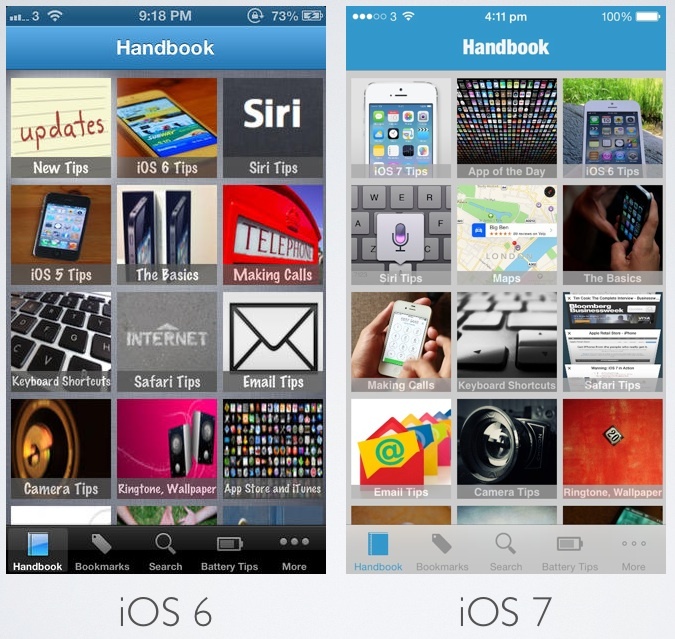 If you’re porting the app from iOS 6 to iOS 7 or creating a brand-new app for iOS 7, I hope you’ll find these tips useful. For your complete reference, you can download the source code of the demo project from here. Just uncomment any code snippets in the sample project to test out the change. Like many of you, I’m still exploring all the new changes of iOS 7 SDK. I am by no means an expert on iOS 7. If you find any errors in the article, please do let me know. If you find any tips and tricks related to navigation bar and status bar, please also share with us by leaving comment below.